Will Electric UTVs Disrupt the Market? 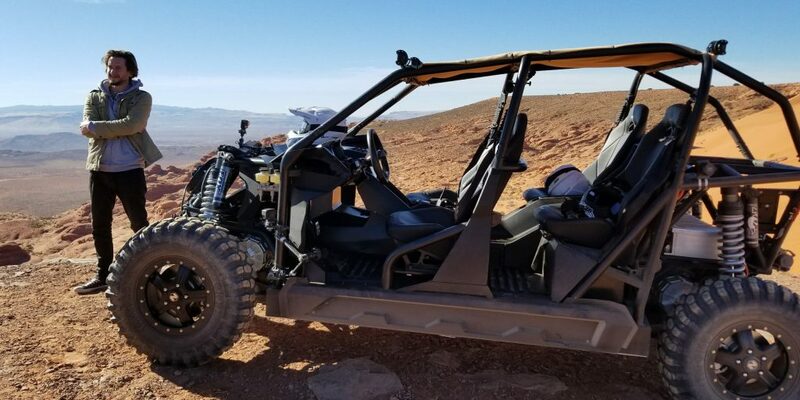 Fred Lambert of Electrek.co, a news site that focuses on electric vehicles along with solar and wind power, was part of a small group of people that recently had a chance to experience the prototype Nikola Zero electric powered UTV in the challenging terrain around St. George, UT. His experience indicates that the Nikola Zero is not just vaporware with some outstanding specs but an actual UTV moving towards production. More importantly, Lambert’s experience with the Nikola Zero points to the possibility of electric UTVs significantly disrupting the market. Before further discussing market disruption, lets take a look at the Nikola Zero test drive. The exact specs for the prototype were not provided but Nikola Motor stated that it is fairly close to a production version. Missing from the prototype are body panels. The prototype appeared to meet the the original spec sheet, which promised 555 hp and 4,900 ft-lbs of torque along with 20″ of suspension travel and 14.5″ of ground clearance. The prototype weighed in at around 3,500 lbs, featured 35″ tires, and was outfitted with a 107 kWh battery pack as opposed to the planned high end option of 125 kWh. For comparison, either size provides the UTV with a bigger battery pack than the maximum 100 kWh pack for a Tesla. The prototype’s display screen at the beginning of the test day indicated a 153 mile range at a 92% charge level. The company remarked that they are using LG and Samsung batteries in a patented battery pack architecture. They are planning on producing a few hundred units in 2018 and a few thousand in 2019 with a MSRP in the $35,000 range for the 75 kWh battery pack option and $55,000 for the 125 kWh battery pack option. The production version is expected to be launched in December, 2017. What does this test drive say about how electric UTVs can disrupt the market. One area is performance, especially in the recreational end of the market. The amount of torque and responsiveness of an electric UTV would be very difficult for gas powered vehicles to match. Having motors at each wheel is another advantage as is the lower center of gravity. A gas powered UTV simply cannot be designed this way. Even for the utility segment, while the capability for high speeds would be considered undesirable by many employers, the performance features applied to heavy duty work applications would be welcome. Performance based disruption is directly tied to expertise in engine design and development. The major UTV manufacturers have invested enormous amounts of money and resources into developing their own engine technology to create more powerful and lighter gas engines as they have engaged in horsepower and torque battles. Electric UTVs have the potential to make that expertise obsolete and demand a focus on batteries, battery pack design and management, and electric motors instead. Another area of potential disruption, that may be undersold at this point, is the relatively low noise level of electric UTVs. While many riders enjoy the sound of a roaring engine and maybe even consider it integral to the off-road experience, the lower noise levels may prove quite appealing during long hours of riding. The ability to more easily carry on conversations could increase the social aspects of riding. Quieter electric UTVs could potentially open up more areas for riding where noise is a primary land use concern. Again this will be an area that gas powered UTVs will have a hard time competing. Another potential area of disruption is vehicle reliability. 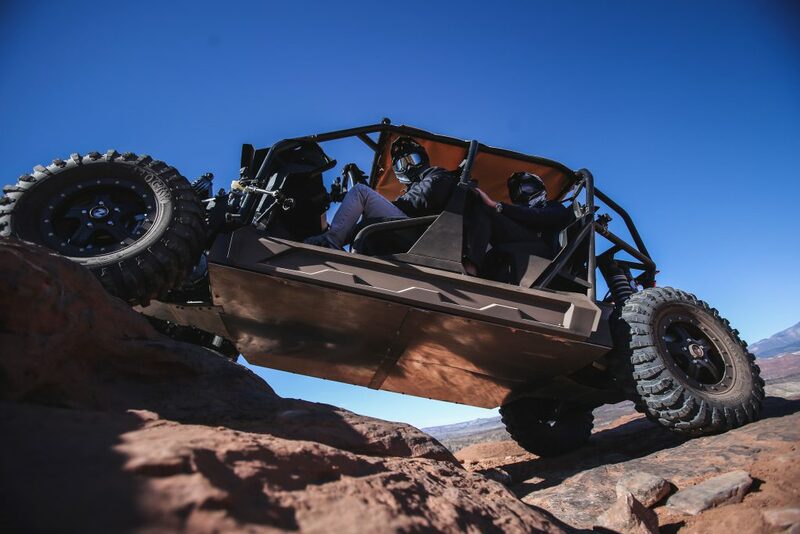 While the chassis, suspension system and many other parts will still be needed for electric UTVs, the electric powertrain eliminates a lot of moving parts and other systems associated with gas engines. A quick perusal of recent UTV recalls indicates that a significant portion of them are related to the gas engine or ancillary system. There is also less maintenance involved with electric powertrains. On the other hand, battery packs will have to demonstrate their reliability. At this point, a major impediment to this disruptive technology is price. As the anticipated pricing of the Nikola Zero demonstrates, electric UTVs are very expensive machines relative to the current market. A lot of that pricing is tied to the battery pack. Unless battery pricing decreases significantly an electric UTV like the Nikola Zero will only be a niche product targeting the high performance end of the market, not dissimilar to what the original Tesla Roadster was. On the other hand, battery pricing has been dropping significantly, so more affordable but relatively high performance UTVs may not be that far away. This entry was posted in electric vehicles, Market entrants, market trends, new vehicle, Pricing info, side-by-side, Technology, utility vehicles and tagged disruption, electric utv, Fred Lambert, Nikola Motor Company, Nikola Zero, noise, test drive, torque, Utah by Marc Cesare. Bookmark the permalink.